The Sesame Street gang have circled the globe and now bring this popular musical show back to Australia! Don't miss Elmo, Abby Cadabby, Big Bird, Grover, Zoe, Bert and Ernie, Cookie Monster and The Count live on stage as they use the letters of the alphabet to navigate a voyage through the imagination! 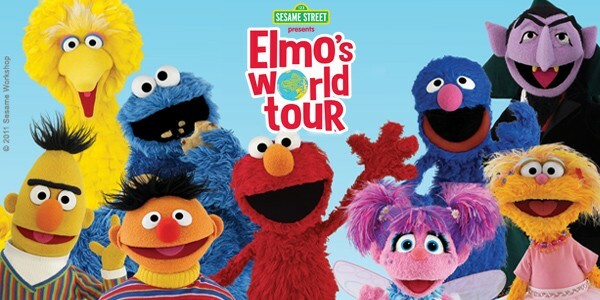 SESAME STREET PRESENTS ELMO'S WORLD TOUR is sure to delight fans of ALL ages.